As I read about Coca-Cola’s hundreds of soft drink brands I’m terribly amused by their little write-ups. Some drinks are anthropomorphized, while others have been pre-ordained as the ideal gruel for test tube babies born from the same batch. Creepiest of all is their attempts to impose a Pavlovian response, with all the grace of a plastic Coke bottle doorstop, entwining your precious memories with their sugar water. Accompanied by their ads it’s clear to see how marketers use these product bios as a primer. This thirst-quenching beverage features a fresh, light lemon-lime taste and fun-loving attitude. It’s a home-grown, national treasure in India, where it was acquired by The Coca-Cola Company in 1993. Limca continues to build a loyal following among young adults who love the lighthearted way it complements the best moments of their lives. Available in the following flavor: Lemon Lime. Available in the following locations: India, Nigeria, United Arab Emirates and Zambia. 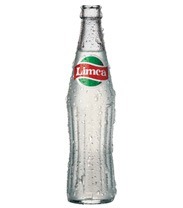 Oh Limca, when I succumb to your carefree effervescence I feel like a shampoo model cavorting in a lemonade waterfall on a baking soda shore! 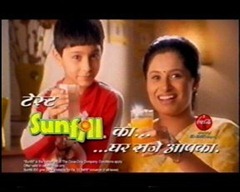 In some locations, Sunfill is 100% orange juice. In other locations, it’s a juice drink that combines great fruit taste and fun for kids, with the nutritious vitamins and minerals parents feel good about serving. Available in the following flavors: Apple, Blackcurrant, Blackcurrant Grenadine Raspberry, Coconut Pineapple, Kiwi Mango, Mango, Orange, Passionfruit, Pineapple and Strawberry. Available in the following locations: Djibouti, Hong Kong, Indonesia, Kenya, Macau (Macao), Mauritius, Mongolia, Morocco, Nepal, Tanzania and United States. 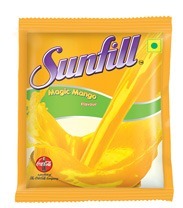 I love Sunfill when I’m in the mood for 100% juice, or something with great fruit taste, but not both. 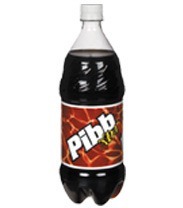 In 2001, Pibb Xtra was introduced as a bolder version of the original Mr. Pibb taste. Its bold taste and graphics appeal to young adults who are looking to get the most out of life and the most out of their soft drink. It appeals to teens who are just gaining independence from home and looking for things to call their own. The soft drink enables them to have an uninhibited, fun and unconventional attitude and touts the sweet, refreshing bold taste they need to express their independence. Available in the following flavor: Cherry Spice. Available in the following locations: Mariana Islands and United States. It’s boldly made with Xtra syrup to give aspiring teens that “cookies for dinner when I move out” epiphany they crave. 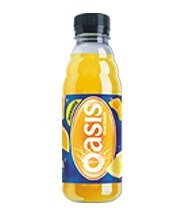 Oasis is a range of refreshing noncarbonated fruit juice drinks with a light-hearted, grown-up attitude. It’s for working twenty-somethings who know what they want out of life. Available in the following flavors: Apple Blackcurrant, Berry, Blackcurrant, Blueberry Pomegranate, Orange Tangerine and Passionfruit. Available in the following locations: Great Britain, Northern Ireland and Republic of Ireland. The drink for the fledgling professional whose borderline racist TV commercials can surely be shrugged off as innocent naiveté. VIVA! 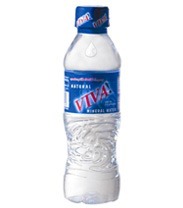 is a natural mineral water brand for young adults who live healthy and active lifestyles. Available in the following flavor: Unflavored. Available in the following location: Philippines. For vivacious Generation Y-ers who want something flavourless and will scream its name to get it.